Bradford said he’s looking forward to the “dress rehearsal” next week against the 49ers, when his offensive line is expected to be at full strength. 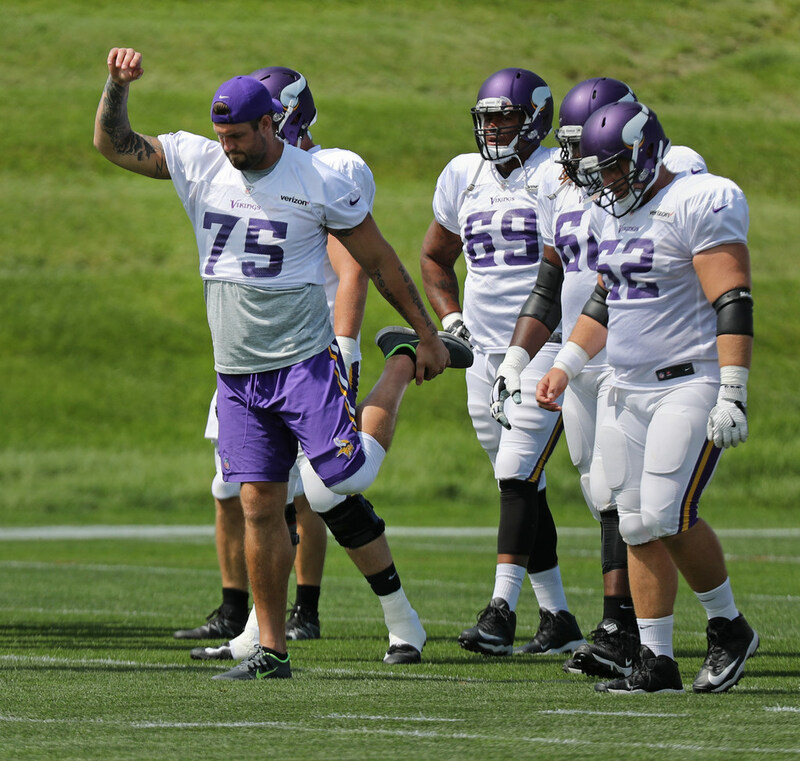 SEATTLE — On Aug. 27, the Vikings offense is expected to be together for the first time in a game. That’s when the Vikings play the San Francisco 49ers during the preseason’s third exhibition. It’s also when head coach Mike Zimmer expects left tackle Riley Reiff and running back Latavius Murray to make their Vikings debuts after injuries have sidelined both all month. “I think we’ll get all our guys back next week,” Zimmer said after the Vikings’ 20-13 preseason loss to the Seahawks on Friday night. Only against the 49ers will quarterback Sam Bradford finally drop back with Reiff as his blindside protector and, potentially, hand off to Murray or throw to second-year receiver Laquon Treadwell, who has also missed two exhibitions due to injury. Bradford has taken six series between two preseason games with mixed results. The starting offense scored just three points on Friday night against the Seahawks, but Bradford and rookie running back Dalvin Cook showed signs of growth with double-digit gains in one of the NFL’s toughest (albeit preseason) environments at CenturyLink Field in Seattle. Bradford said he’s looking forward to the “dress rehearsal” next week against the 49ers, when his offensive line of Reiff, guard Alex Boone, center Nick Easton (or Pat Elflein), guard Joe Berger and tackle Mike Remmers are expected to play together for the first time.